Ed Slott's 2-Day IRA Workshop: See You in Las Vegas! The Slott Report is going on the road this week to Las Vegas, Nevada for Ed Slott's 2-Day IRA Workshop, Instant IRA Success, on Saturday, September 29 and Sunday, September 30 at The Cosmopolitan. There is still time to join us LIVE this weekend in Las Vegas. 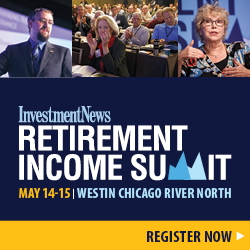 CLICK HERE if you want to register for 2 full days of IRA education and planning strategies. If you can't make it to Las Vegas this weekend, there are still ways to share in the experience. You can also receive detailed IRA information once the 2-Day IRA Workshop ends. We post daily information at this site, in our Monthly IRA Updates and in our subscriber-based IRA Advisor Newsletter. We offer a variety of white papers, webcasts, pamphlets and books to help you take ownership of your retirement planning and use with clients to create a successful retirement planning partnership. Engage with us, email us your ideas for article topics and Mailbag questions, and follow us throughout the 2-Day IRA Workshop in Las Vegas!